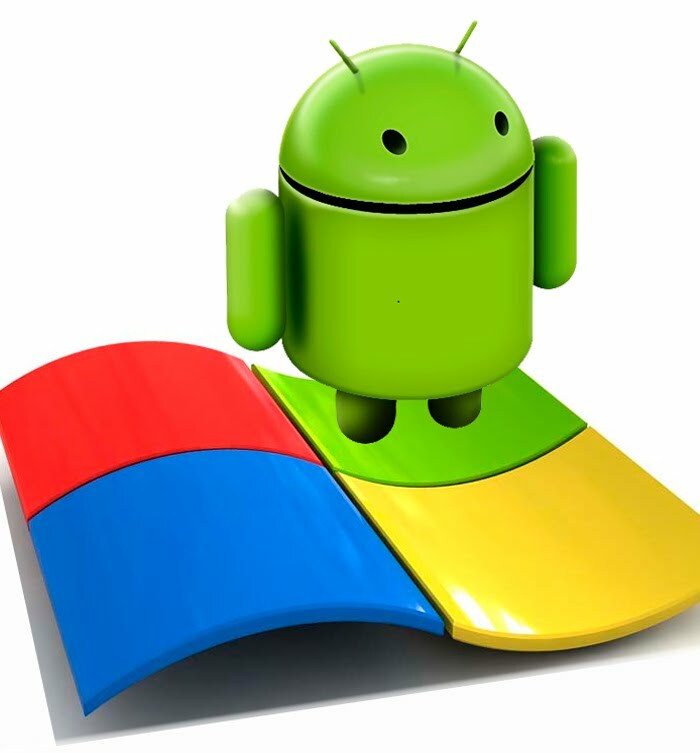 Windows' dominance in the software market is facing a massive threat from Android. Android operating system, which is installed in most smartphones around the world, is now the most used operating system in the world albeit with a small margin. A research carried out by StatCounter has revealed that since March 2017, Android is now more popular in terms of global internet usage market share. 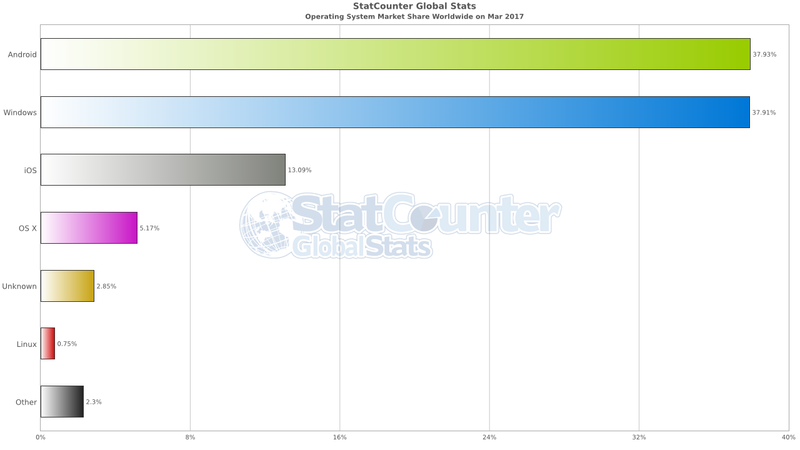 Android leads worldwide by 37.93% followed by Windows at 37.91%. Although the the difference margin is small, the revelation will without a double push the market share further especially considering the fact that Google recently released Android O preview. It is also important to remember that very few people use the mobile version of Windows operating system. iOS has a market share of 13.09%. iPhones use the iOS operating system. 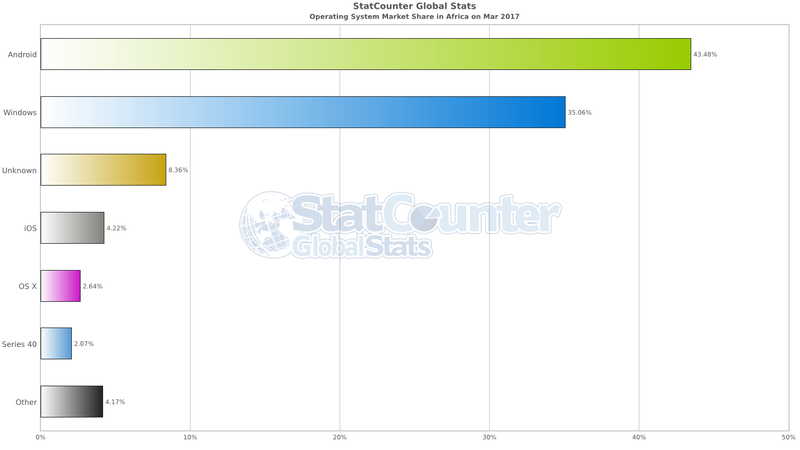 OS X follows with 5.17% global market share. Other unknown operating systems have a market share of 2.85% followed by Linux with 0.85%. Linux is popular with developers and penetration testers. Majorly people in the technical world. So if you are a fan of Linux, you are part of the few! In Africa the statistics are more interesting with Android widening the gap. 43.48% of systems in Africa use Android. Windows is a distant second with 35.06% market share. This is understandable because the Chinese communications firms have successfully penetrated the African market and hence their phones flood the market. Most if not all Chinese smartphones use the Android operating system. Very few people use Linux in Africa hence it did not even make it in the list. It is part of others that take 4.17% of the global market share.